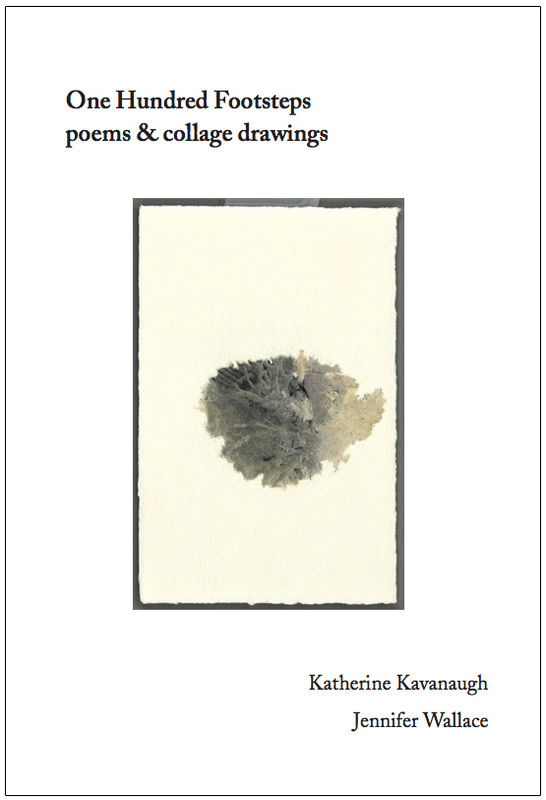 Individual Volumes I-V (each volume containing 10 poems and 10 images) are available from the artist. Collectors' editions of all five volumes (50 poems and 50 images), including a beautiful slip case, are also available. One Hundred Footsteps is inspired by a medieval Japanese collaborative poetic form, the renga, which is often comprised of 100 verses. Our project originated in 2010 when we recognized that we were approaching separate bodies of work in a similar fashion. Neither poem nor image are meant to be illustrative of each other; rather, they have evolved from parallel contemplative moods. The images are reproduced from collaged originals and the poems are set in Adobe Caslon and letterpress-printed on a Vandercook SP20 proof press. One Hundred Footsteps is printed in a series of five volumes.